As you explore the beautiful coastal suburb of Collaroy, you will find amazing views, historic buildings and a wide-range of accessible shops, cafes, restaurants and bars. 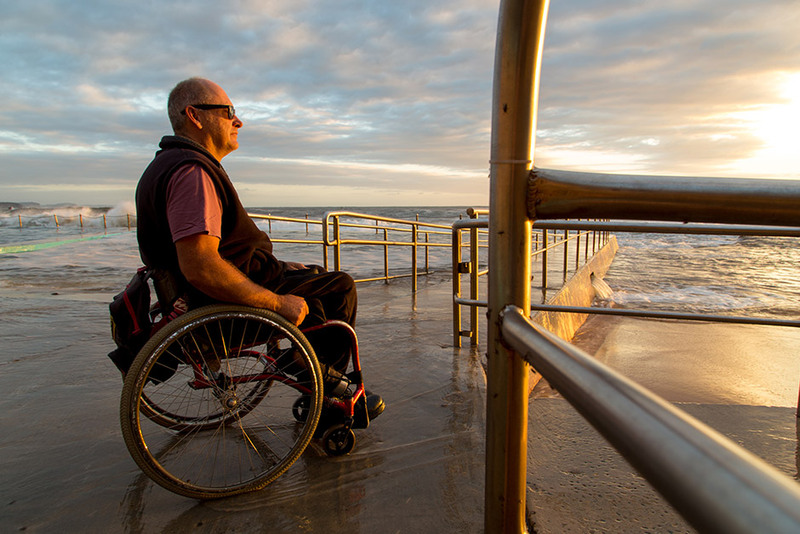 The Northern Beaches Council is committed to making our local precinct 100% wheelchair friendly. There have been recent upgrades to the beach facilities and surf lifesaving club (including a lift, adult change table and hoist) as well as the area directly in front of Sargood on Collaroy which now has accessible toilets and paths. We are fortunate to offer wheelchair friendly accommodation in such a stunning location. 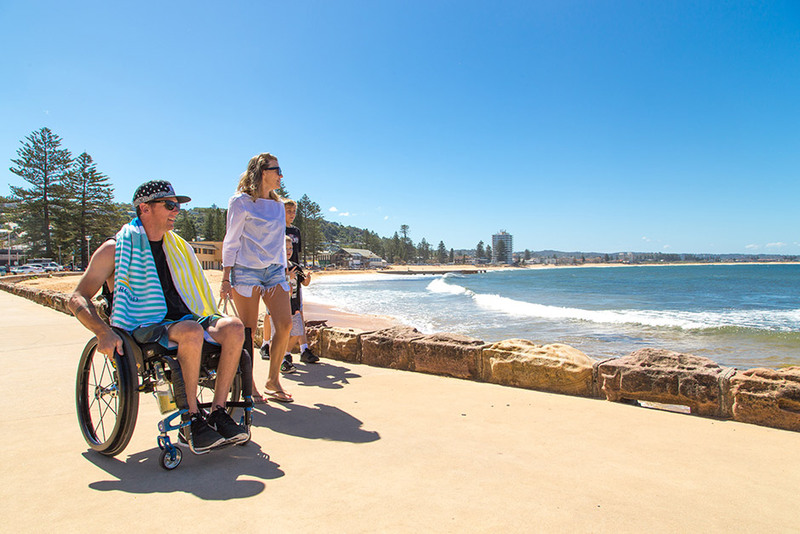 Beyond our wheelchair accessible accommodation, our local businesses are also committed to making the Collaroy precinct wheelchair friendly and have adapted their shops, restaurants and cafes where necessary. The interactive map below will help guide you through the accessible options, which are just moments from Sargood on Collaroy. You can also take a look at the Collaroy accessible precinct. This café serves Allpress coffee, gourmet sandwiches and a selection of cakes and pastries. Coffee, food and friendly table service. Located off the main road. Ramped access to outdoor seating area. Small step to access inside café. Accessible toilet located next door to Dragonfly Restaurant through glass sliding doors (see map). For pies, cakes, coffees and great service. Enjoy delicious dishes using the freshest produce, mouth-watering milkshakes and healthy fresh juices by the beach. Little café/bar serving great food and drinks for breakfast and lunch. Upper and lower beachfront balconies to dining, functions, craft beer and free weekly live entertainment. “The Club on the Beach” has views of the coast extending from the Central Coast to Long Reef. Lift access inside venue between ground and first floor. To operate lift, the button has to be held down. Bar, gaming and casual dining downstairs accessible. Ample circulation space. Bar, balcony and some dining areas accessible upstairs. White Rock Café overlooks Fisherman’s Beach and Long Reef Headland with spectacular views right up to Palm Beach Headland. Club house and pro shop level access. Ample circulation space inside and out. Accessible toilets can be found on entry level of club house. A local favourite, with Indonesian, Malaysian & Singaporean food. This Indian Restaurant overlooks Collaroy beach. It offers authentic Indian food of the Periyar region and South India. Serves dinner, drinks and coffee. Slow food, fast – authentic street food using fresh produce and unique cooking methods. Burgers, fresh pastries. Italian style pizza, Italian style tapas, antipasti, pastas, seafood, meat dishes and Italian desserts. 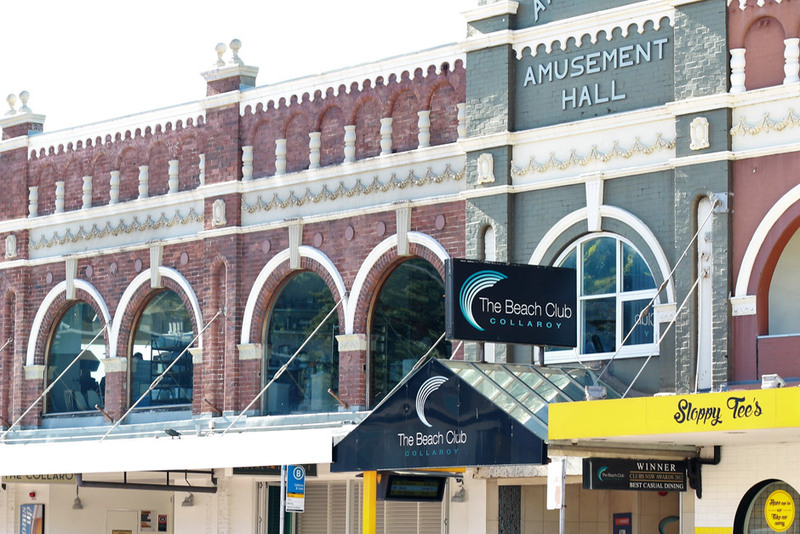 The Collaroy has three different venues including the Pelican Pavillion, the bistro and a dining room. Each offers a menu inspired by locally sourced seafood, drinks and snacks. The venue has been refurbished and is now wheelchair friendly on both levels. High tables were replaced with lower tables, a lift operates from ground floor to first floor, ensuring the entire venue is accessible. Entry from the main road is wheelchair accessible; the upstairs floor was levelled completely to remove a step-up platform. Accessible toilets are on site. Accessible toilet located on ground floor near gaming room: Level front entrance, carpeted floors. Level access at entrance. Ample circulation space. Wide aisles. Access to higher shelves may be an issue. Will deliver groceries to Sargood on Collaroy and you can order over the phone. Level access through wide open doors. Able to access all aisles, some items located high on shelving. Mon to Fri 8.30am – 8pm, Sat 8.30am – 5pm, Sun 9am – 4pm. Wide opening heavy doors, 120mm lip – facility has wedge ramp and can provide if needed. 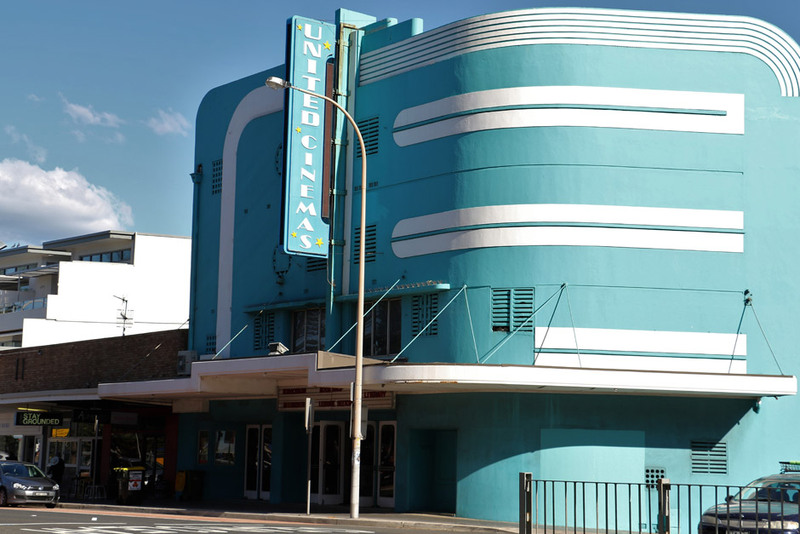 There are two cinemas located in the facility, with the upstairs cinema inaccessible. All movies screened in the downstairs cinema are underlined in the session times. The cinema has a carpeted surface and there is ample manoeuvrability and space to park your chair. There are no accessible toilets in the facility. Nearest accessible toilet is located next door to Dragonfly Restaurant 50m south along Pittwater Rd. Collaroy Beach adjoins Narrabeen Beach and is part of a long stretch of coastline. Facilities include an all-abilities playground with a liberty swing, accessible picnic areas, paths and rock pool. There is also a FreeWheeler wheelchair available through the surf club, which provides access on to the sand and surf. Long Reef Headland Track, beginning at the end of Beach Road, is a 3km loop track with gentle hills. 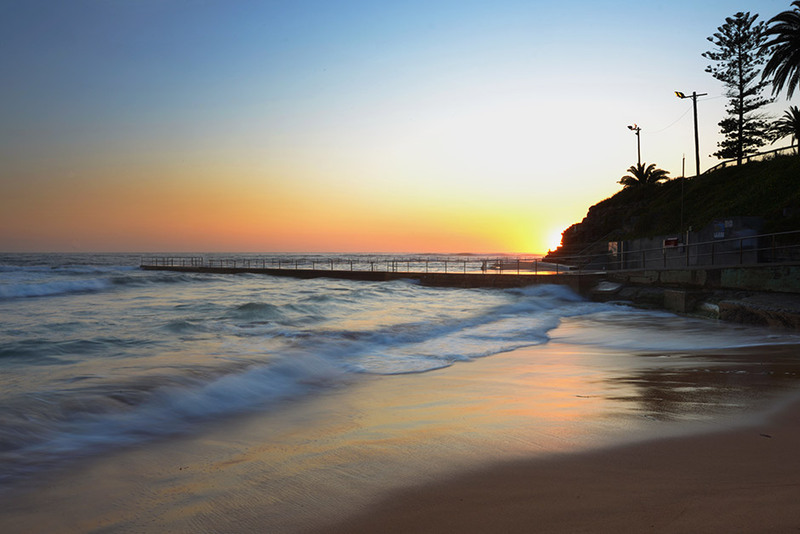 You will be rewarded with the best views on the Northern Beaches. Enjoy the ocean views, view the sculptures near the top lookout and enjoy whale watching from May to November. Long Reef Golf Course itself is the home of the Paragolfer all-terrain wheelchair for golf enthusiasts. 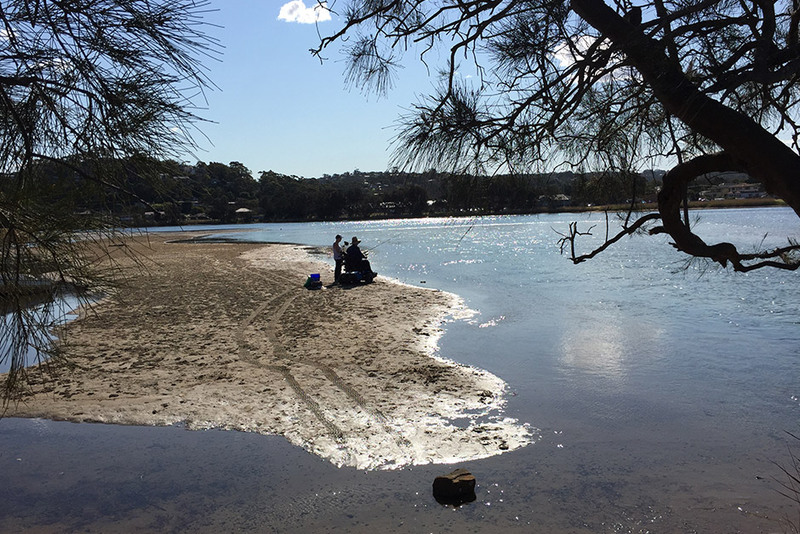 Nearby Narrabeen Lagoon is surrounded by an 8km accessible loop track perfect for using Council’s recumbent cycles. 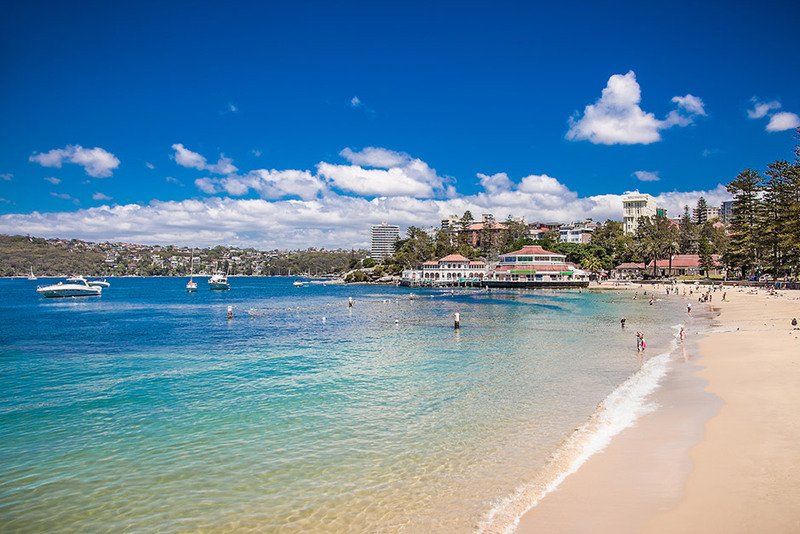 World renowned Manly beach is only a short bus ride away and is home to two accessible promenades – one that leads to Queenscliff beach and another heading the other way along to Shelly Beach. 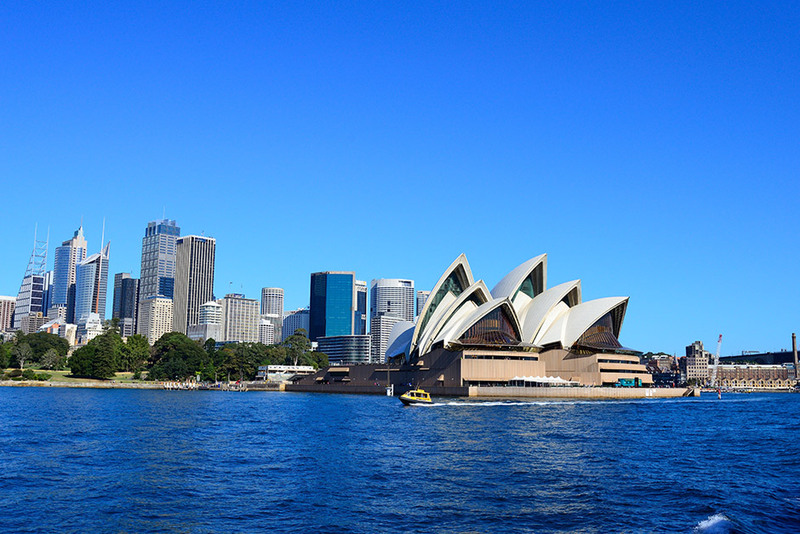 From Manly, you can take a scenic ferry ride to Circular Quay for spectacular views of the Sydney Harbour Bridge and iconic Sydney Opera House. 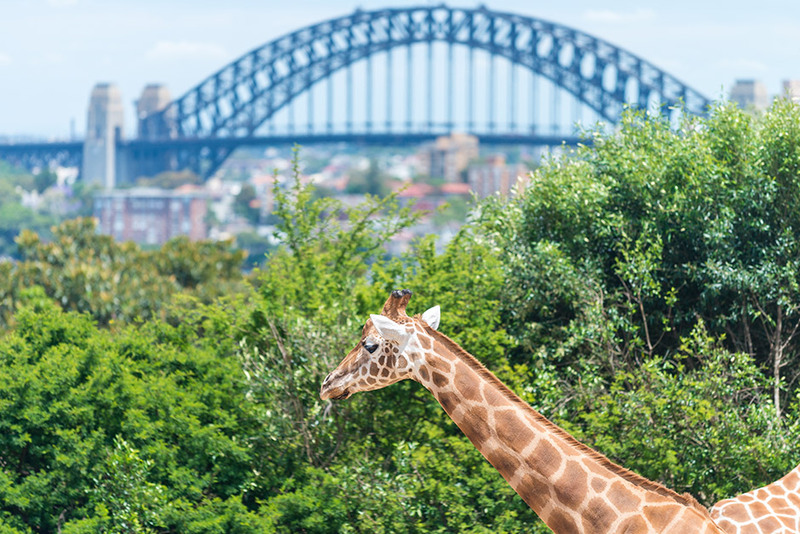 You can visit nearby Darling Harbour, where there are numerous family attractions, such as Sea Life Sydney Aquarium, Wild Life Sydney Zoo and Madame Tussauds. 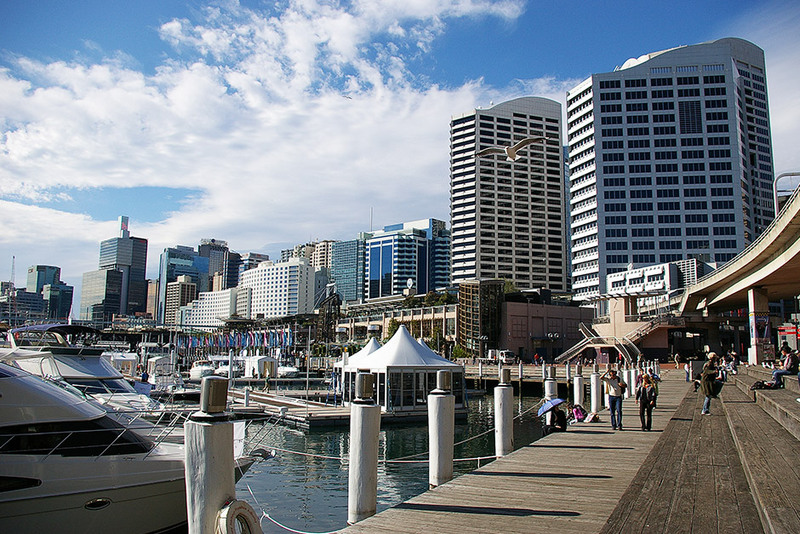 There is also a wide selection of restaurants and bars in Darling Harbour. 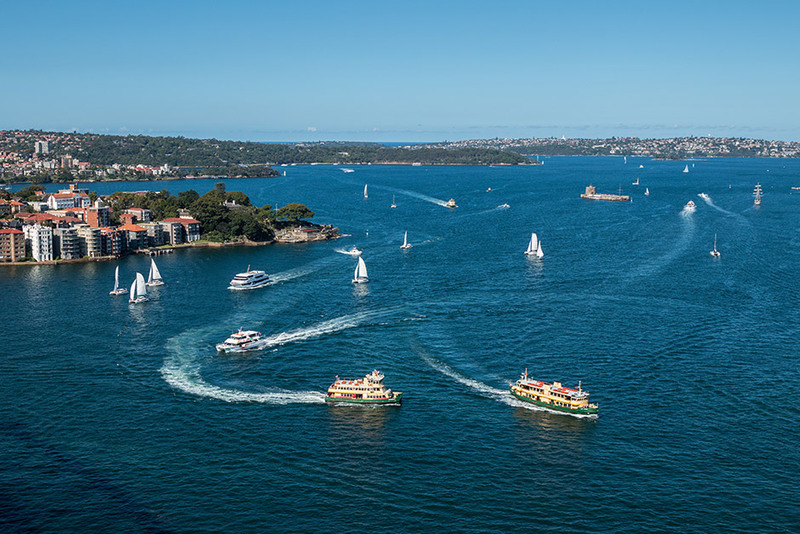 In addition, you can catch the local ferries from Circular Quay to Taronga Zoo in Mosman, Luna Park at Milsons Point and Watson’s Bay for fish and chips at Doyles. For more local travel tips and suggestions ask one of our friendly specialist accommodation staff.